We have replaced an older Lucene search engine with a more advanced Apache Solr. We are very pleased with the results of the change: besides much improved response times for fetching the results, the indexing process is now 5 times faster. The search interface has been modified too. The users can now type the query keyword on a consolidated page, which will start the search in different sections of the database, and the results will be shown in separate panels – for marker and the gene annotation tracks separately. 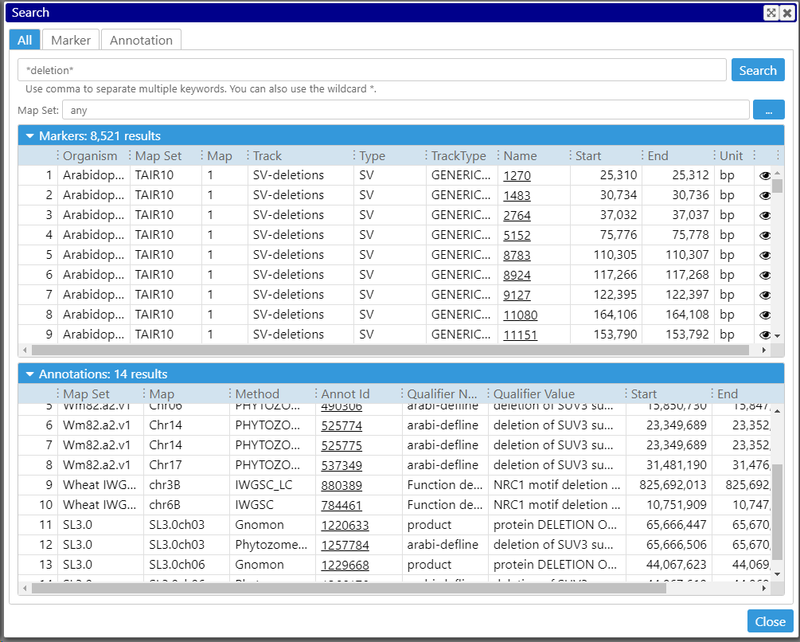 A more detailed search can be done in the individual tabs which will take into account the specifics of the stored objects, like gene function, marker type, etc.